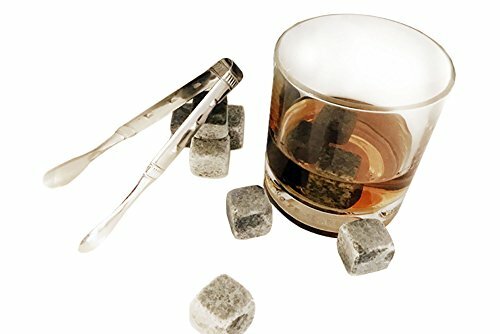 Whisky stones / scotch rocks are 100% pure soapstone, which you store in your freezer and drop straight into your drink when you want coldness without meltwater. 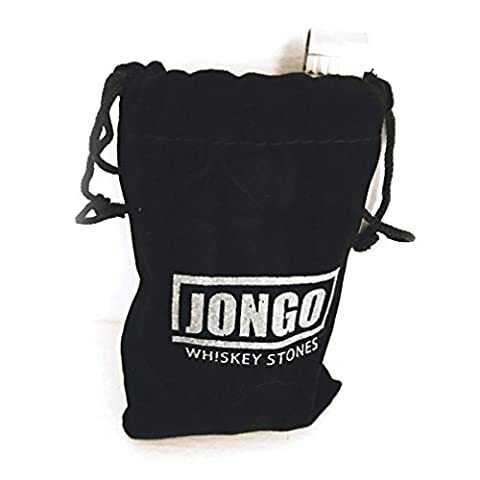 JONGO Whiskey Stones are perfect groomsmen gifts, birthday gifts, christmas gifts, stocking stuffers, anniversary gifts, or a gift for anyone who doesn’t like their drinks diluted by ice. 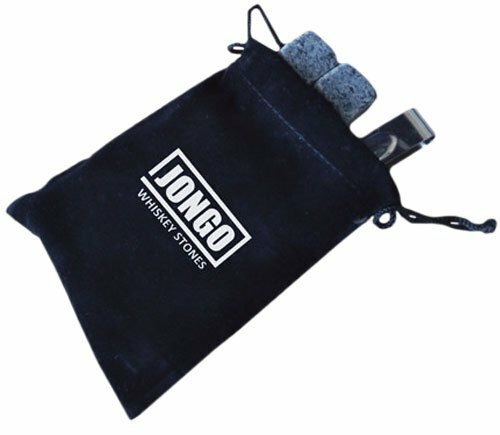 Designed to be reusable–with durable and high quality soapstone material holds its cool temperature. 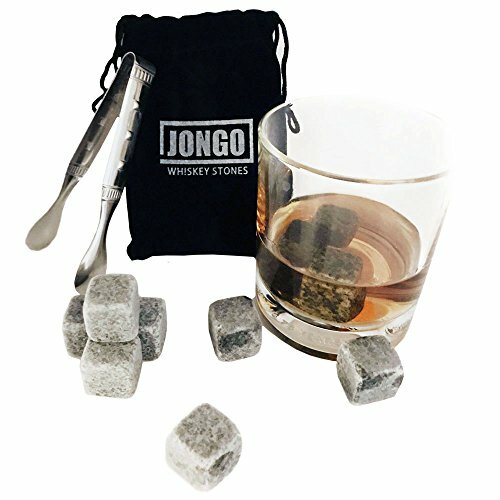 Because whiskey stones are made from soapstone they are naturally non porous and will NOT impart unfavorable flavors or smells to your drink. 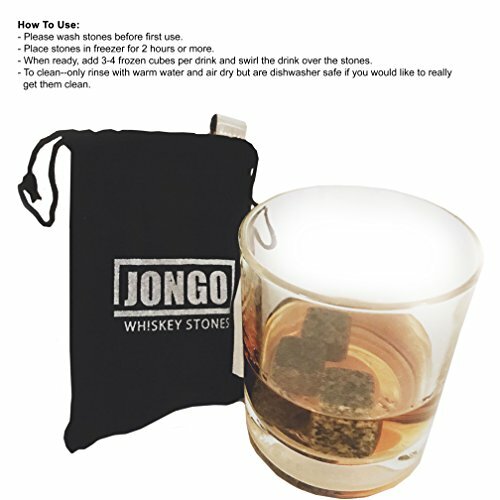 * One big advantage of whiskey stones is to chill your drink, while retaining the flavor. These are ready for the freezer! – Please wash stones before first use. – Place stones in freezer for 2 hour or more. 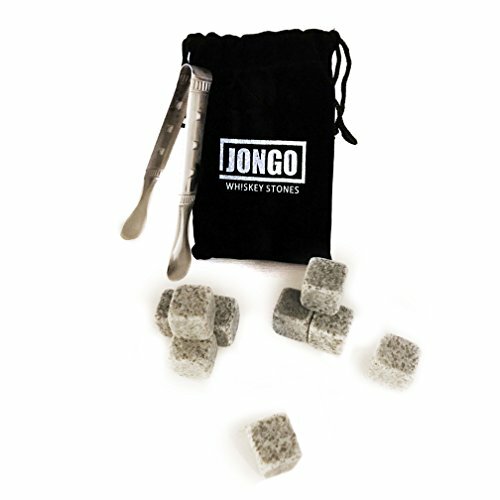 – When ready, add 3-4 frozen cubes per drink and swirl the drink over the stones. – To clean–only rinse with warm water and air dry but are dishwasher safe if you would like to really get them clean. 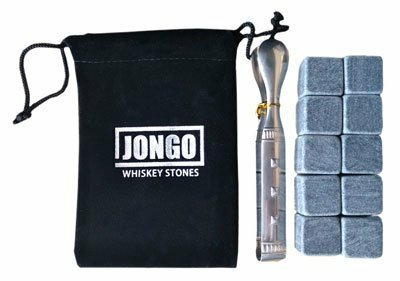 These whiskey stones will are designed to bring the temperature down around 5 -10 degrees at a time. 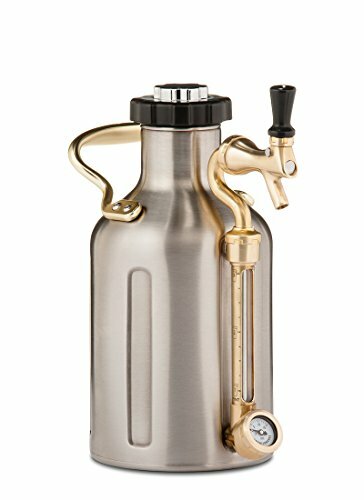 That is the optimum temperature for most wines and whiskey drinks. If you want it cooler you may add more whiskey stones or one ice cube. 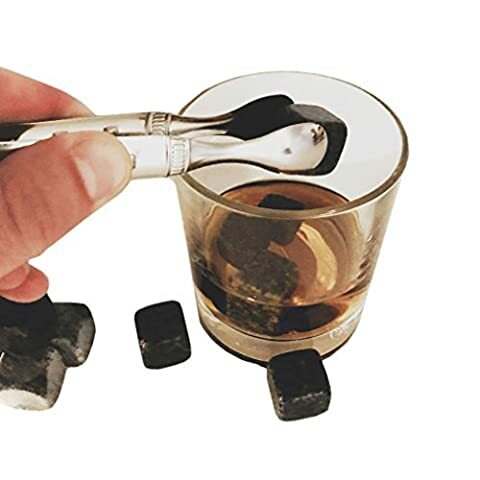 One ice cube will open the flavor of whiskey without watering it down too much. 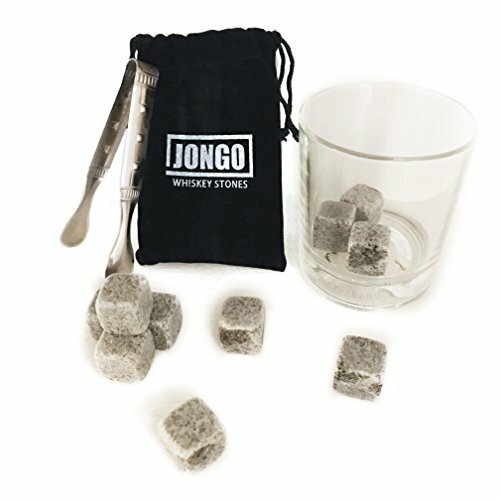 10 x 100% soapstone whiskey stones. 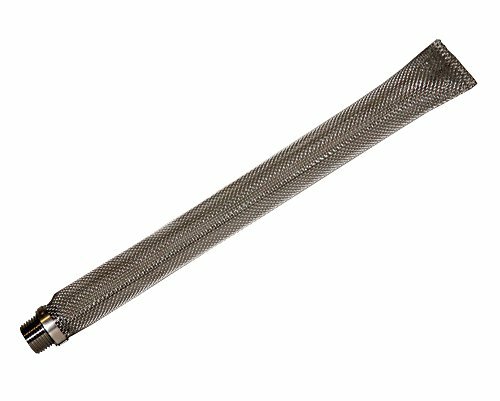 1 x Stainless Steel Tongs.  1 x Velvet Freezer Storage Bag. 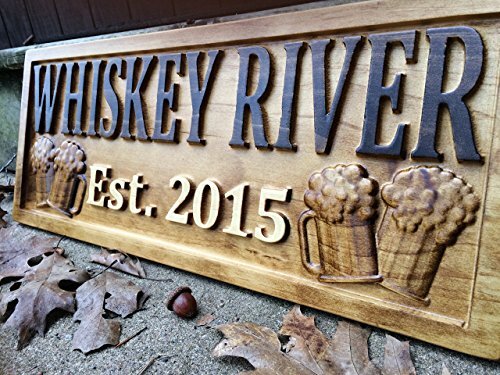 Our whiskey stone gift set is perfect for any occasion!